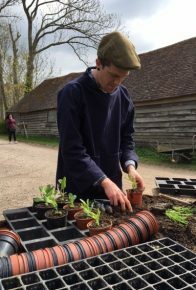 Dave Bull, one of our Stream 2 trainees based at Wrest Park, recently spent a week in the beautiful gardens at Great Dixter. Dave’s visit during the week of 24th April was funded by the Professional Gardeners’ Trust who covered his accommodation and travel costs. Dave worked in the nursery and out in the garden on a range of jobs including staking, bed management and design, potting, dividing, splitting and propagation. 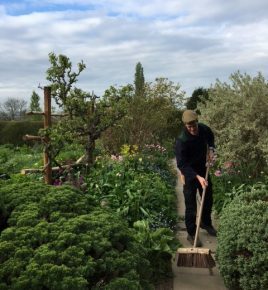 Dave thoroughly enjoyed his time at Dixter, learning a great deal from Head Gardener Fergus Garrett and the rest of the team.